This chime is tuned to the poignant notes of an aria from La Forza del Destino (The Force of Destiny), by the great Italian composer Giuseppe Verdi. Music and wine just seem to go together. That’s why we’ve created a chime that celebrates one of the world’s most famous winemaking regions. Dotted with lush vineyards, ancient olive groves, stone farmhouses and medieval castles, the beautiful Tuscan countryside stretches from the mountains to the sea. Here, Italy’s finest wines are created according to the rhythms of nature, just as they have been for hundreds of years. May our Chimes of Tuscany accompany you as you celebrate the rhythms of nature, the force of destiny and the sounds of life. Enjoy!Over 30 years ago, Grammy award-winning musician and instrument designer Garry Kvistad created the first Woodstock Chime from an aluminum lawn chair he found in a landfill. Fascinated by the Scale of Olympos, a 7th century pentatonic scale that can’t be played on a modern piano, Garry cut and tuned the lawn chair tubes to the exact frequency of the ancient scale. 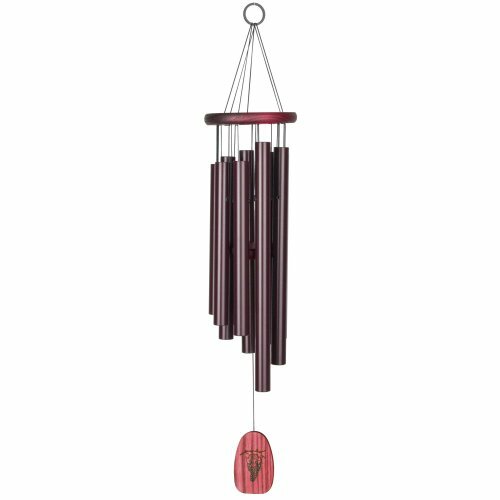 The resulting Chimes of Olympos was the first Woodstock Chime and is still one of our best selling, musically-tuned windchimes. Garry and his wife Diane founded Woodstock Chimes in 1979 and still develop the chimes today. It remains a family-owned business in New York’s Hudson Valley.